Coming to the UFC as a Sambo and Judo practitioner, Oleg Takarov would quickly make his presence felt and go on to win the UFC 6 tournament. While he would go on to a successful acting career, Taktarov attributes much of his acting success to what he learned in the UFC. Fightography: Oleg Taktarov Mar 24, 2016 (6:34) Coming to the UFC as a Sambo and Judo practitioner, Oleg Takarov would quickly make his presence felt and go on to win the UFC 6 tournament. 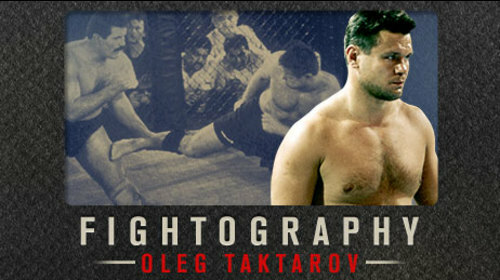 While he would go on to a successful acting career, Taktarov attributes much of his acting success to what he learned in the UFC. Oleg Taktarov vs Ernie Verdicia UFC 5 Apr 7, 1995 (8:12) Billed as “The Russian Bear”, Oleg Taktarov made his UFC debut with a certain aura about him as he pitted his submission skills against the heavy hands of Kenpo karate’s Ernie Verdicia. Oleg Taktarov vs Dave Beneteau UFC 6 Jul 14, 1995 (9:46) In a meeting-up between two obvious standouts from the previous UFC tournament, the powerful Canadian “Dangerous” Dave Beneteau was ready to take on the submission specialist Oleg “The Russian Bear” Taktarov. Oleg Taktarov vs Anthony Macias UFC 6 Jul 14, 1995 (6:21) Due to stomach cramps, Patrick Smith exited the tournament making room for the return of Anthony “Mad Dog” Macias who won an alternate bout to earn the semifinals spot against submission ace “The Russian Bear” Oleg Taktarov. Oleg Taktarov vs Tank Abbott UFC 6 Jul 14, 1995 (27:13) Who could’ve guessed a bear fighting a tank would go nearly 20 minutes? 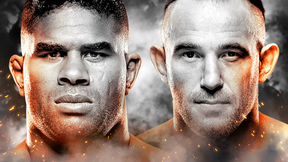 In the finals of UFC 6’s tournament, David Abbott battled Oleg Taktarov for unexpected 17+ minutes, especially as the two ran roughshod over their previous two opponents. Ken Shamrock vs Oleg Taktarov UFC 7 Sep 8, 1995 (38:41) In his first title defense, UFC Superfight Champion Ken Shamrock locked horns with UFC 6 tournament winner Oleg Taktarov. After dominating Dan Severn to win the belt, it was time for Shamrock to defend against a fellow game submission artist Taktarov. Oleg Taktarov vs. Dave Beneteau UFC 7.5 Dec 16, 1995 (3:57) In a rematch of their opening round bout of UFC 6, “The Russian Bear” Oleg Taktarov was ready to put his submission skills to good use for the second time against the heavy hitter from “The Great White North” Dave Beneteau. Oleg Taktarov vs. Marco Ruas UFC 7.5 Dec 16, 1995 (22:27) This semifinals meeting of international jiu-jitsu players and former UFC tournament champions pitted “The King of the Streets” Marco Ruas against “The Russian Bear” Oleg Taktarov, which had all the makings for a grappling classic.